“Uphold the legacy of women’s resistance! Women and gender-oppressed peoples are in the forefront of global fightback!” was the call of the International Working Women’s Day program held by the Boston branch of Workers World Party and the Women’s Fightback Network on March 22. Some speakers at the International Working Women’s Day program were (left to right) Belladonna Ashman, Doris Reina-Landaverde and Dorotea Manuela. 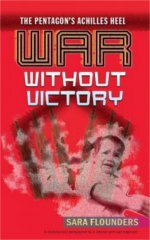 Viewing war as an urgent women’s issue, the WFN was formed in 2001 in direct rejection of President George H.W. Bush’s call for endless war. The WFN called women and their allies into the streets to protest any U.S. military aggression, and continues its anti-imperialist work today. Opening with the theme “Resistance, Remembrance and Revolution,” Phebe Eckfeldt, a retired Harvard clerical worker and unionist, a Visiting Nurse Association nurse and WFN leader, welcomed the audience and introduced the panel of speakers. Sara Flounders, co-director of the International Action Center, gave an exciting eyewitness account about Venezuela, having just returned from a solidarity trip that included meeting with President Nicolás Maduro. 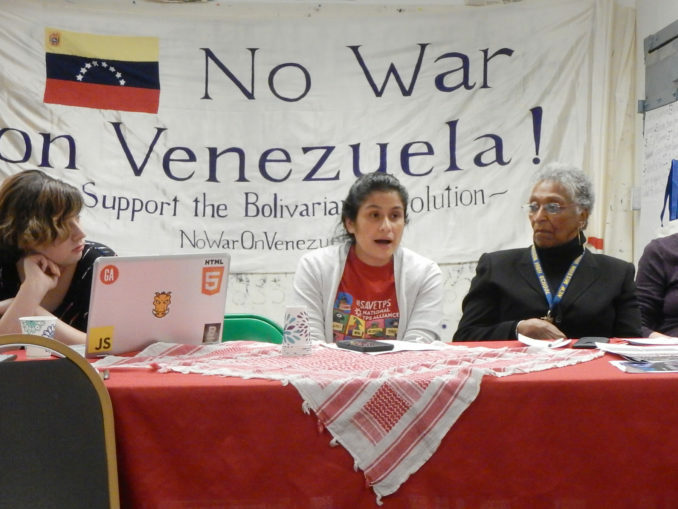 Flounders shared vivid examples of the Venezuelan people’s creativity and organized mass resistance involving unions, collectivos, schools and ongoing defense by workers from the farms to the oil fields. She also reported on the heroic struggle of President Maduro and the Bolivarian people’s government against U.S. imperialism.